RMA definitely knows how to set the party in motion. Within seconds the new Electronic Dance Music cracker Lick U electrifies – and the dancefloor will be crowded immediately. As soon as Fatman Scoop`s rare vocals are bursting into the track there is no turning back: With power and rhythm RMA will let you dance through day and night. Fans of rough EDM should check this one out, standing still is impossible. The New Yorker rap legend Fatman Scoop did collaborations with many international stars. He worked together with Faith Evans, Mariah Carey, Missy Elliott, Timbaland, Hardwell and W&W – just to name a few. Fatman Scoop is famous for his shouts and drops which make every track to an unpredictable adventure. 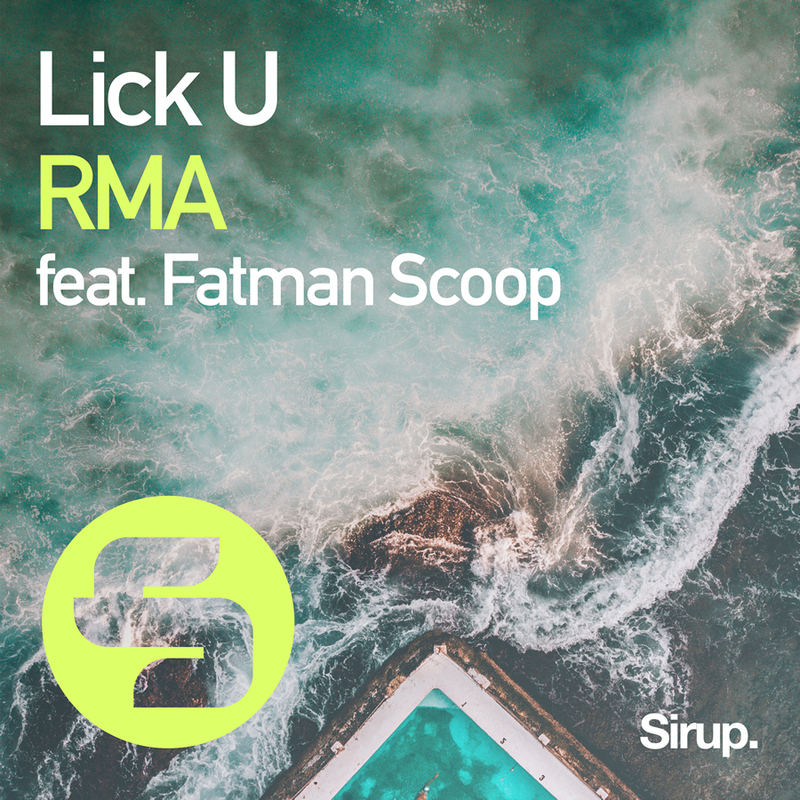 This also applies to RMA’s new track Lick U. RMA knows how to integrate Fatman Scoop`s special skills perfectly into his beats to create a unique atmosphere of power. The brand new Electronic Dance Music track Lick U is out now. It`s released by the famous Swiss label Sirup Music – founded by mastermind, DJ and producer EDX. You can download or stream the smash hit from various platforms. For example, it is downloadable from Beatport. In addition, a download from Apple`s music service iTunes is possible. You prefer streaming music instead of downloads? Use Spotify to listen to RMA’s new track Lick U. Do not hesitate to check out this masterwork of Electronic Dance Music. The deejay RMA is famous for his explosive EDM tracks. By the collaboration with the international rap star Fatman Scoop this is even surpassed. His shouting and dropping elements are giving the powerful Electronic Dance Music track a special flavor. Lick U is full of strength and confidence and will crash the EDM parties. Check out the brand new track of RMA feat. Fatman Scoop and start your way to the dancefloor.